Cathy practises in our Real Estate team and is known for delivering concise legal advice and commercial solutions. Cathy has focused her practice on commercial property for over a decade dealing with all aspects of property transactional work whilst acting for a variety of clients across the property spectrum. Her experience lends itself to both the private and public sectors in the jurisdictions of Ireland, Northern Ireland and England and Wales. Cathy provides specialist legal advice to property developers and investors on acquisitions and disposals, landlords and occupiers (including major space users), lending institutions, football clubs and housing associations. She works with investors, off-shore companies and domestically-based property specialists. She has also worked with a number of public-sector bodies, public and private limited companies and high net worth individuals with particular real estate interests. Cathy qualified as a solicitor in 2007, having obtained an Honours Degree in Law (LLB) from Queens University Belfast, and carried out her legal training at the Institute of Professional Legal Studies, Belfast obtaining a Postgraduate Diploma. 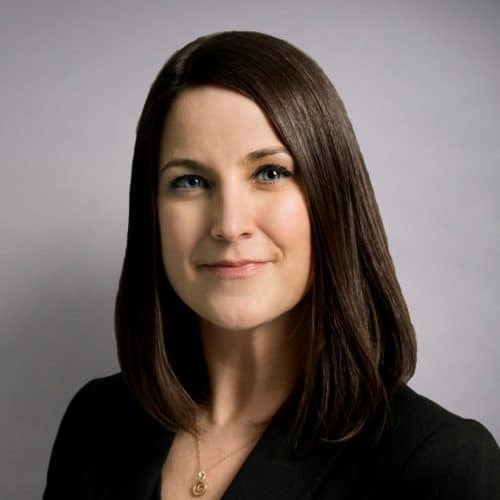 She joined Whitney Moore as an associate in 2018. Cathy is recommended by international legal journals such as The Legal 500 EMEA.